Station Isla de Pascua (ISPA) was established at Latitude: S 27.12498 and Longitude: W 109.34441. This new Easter Island station was installed to replace the existing station EISL, which has lost sky view due to the proliferation of Eucalyptus trees, and also to utilize the new IRIS VSAT Internet link. EISL will continue to log data for approximately one year to record sufficient data for a site tie between the two installations. The new ISPA monument is a stainless steel SCIGN short, drill-braced monument set in basalt bedrock. 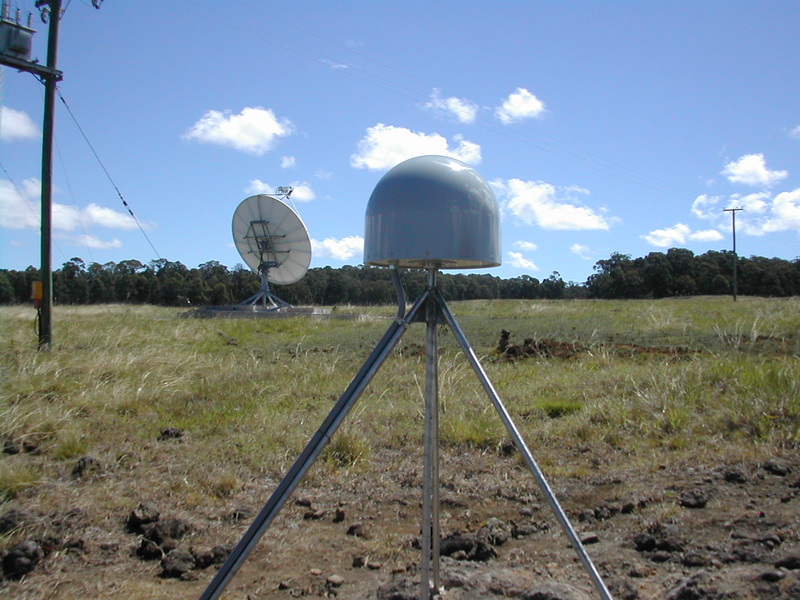 The ISPA station components include an Ashtech MicroZ GPS receiver, Ashtech Choke Ring antenna with a tall SCIGN dome, Linux computer, and a Paroscientific MET3 MET-pack. In addition to improved sky view, the ISPA station has direct Internet access through the IDA seismic network, allowing the station to stream high rate (1 Hz) data in real-time back to the Jet Propulsion Laboratory in Pasadena California. The ISPA station will also contribute to the regular IGS products.